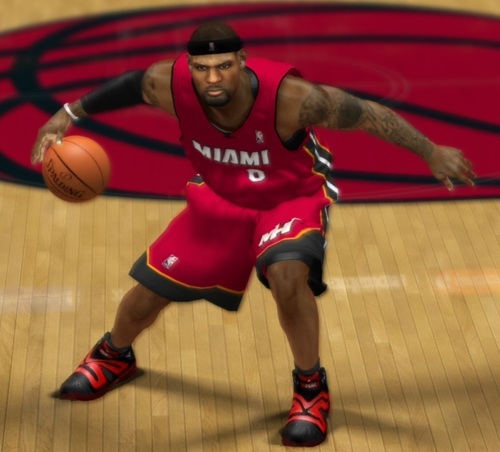 Description: This patch will convert the Lebron 9 Ohio State (default) shoes into PEAK Battier VII (red and black) shoes. 1. 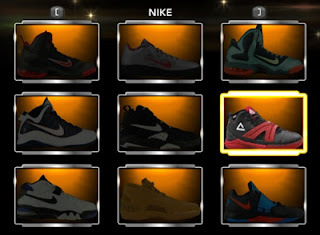 Extract then copy nshoe_fe_0146.iff and shoe_0146_00.iff to the NBA 2K13 game folder. 2. Open NBA 2K13 “Main Menu” go to “Features” » “2K Shoes” » “My Shoes” » Select the PEAK Battier VII from the menu » Choose “Equip Shoe” » Go to Miami Heat or any team of your choice » Assign to player/s.